I enjoy taking pictures of sunsets. They move slowly, provide a lot of color and never have their eyes closed when the shutter clicks. 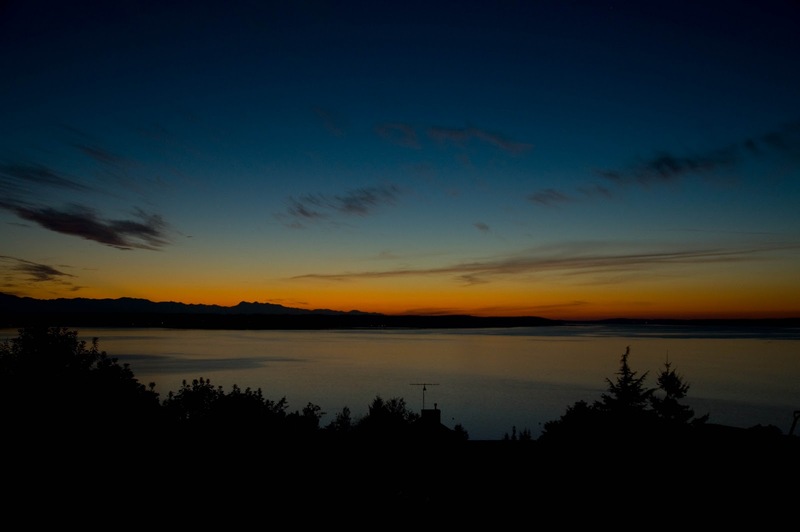 This shot was taken on October 19th on Camano Island. The colors were not spectacular but I like the contrast between the orange and the blue.